The design, in marquetry, is the Shaker Tree Of Life. The background veneer is ripple sycamore, the tree trunk is figured walnut, and the greens and red are dyed magnolia. 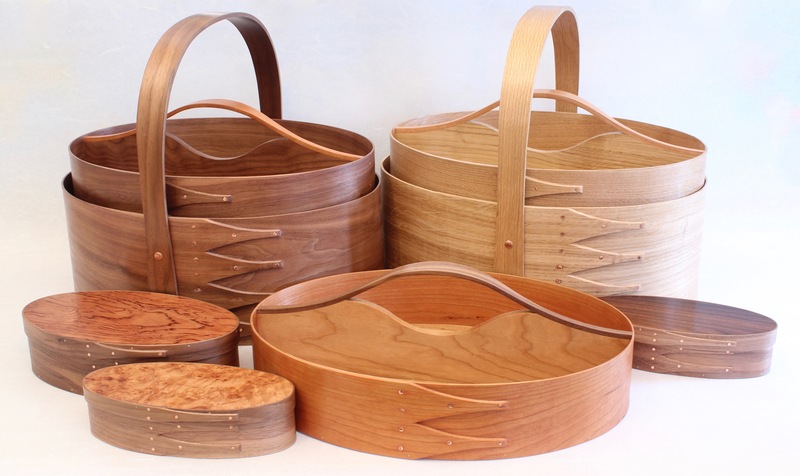 The basket side and swing handle are in North American cherry.